The Inconsolable Conclave of Lyke Wake Past Masters was morosely moved in their engloomed wisdom to award a New Lyke Wake Club Grant to young Dirger, Thomas Evans. 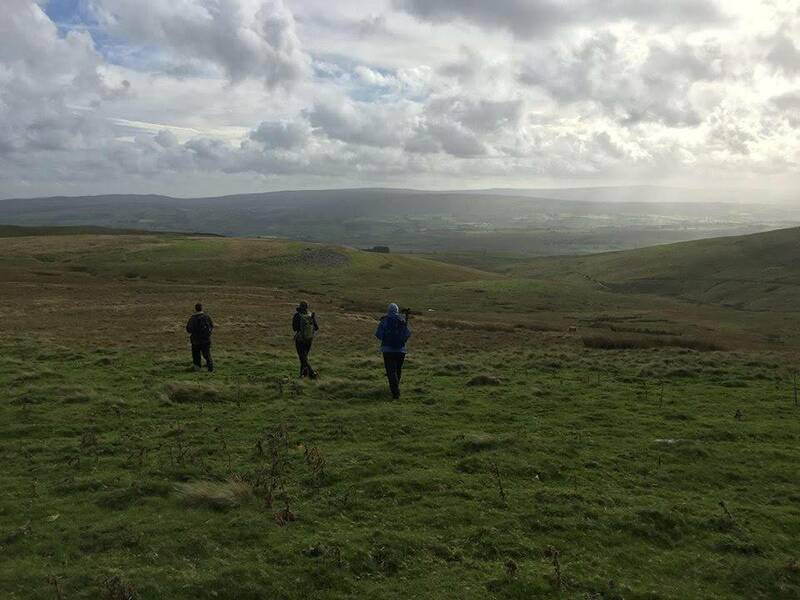 The Grant was made to cover the fee for attending a navigation course in the Yorkshire Dales in September 2018. Thomas wanted to improve his navigation skills in order to be able to better tackle the Lyke Wake Walk in the dark and in bad weather. He received instruction from Team Walking Ltd at locations in the Clapham area of the Yorkshire Dales. The course was held over three days with each day comprising an initial briefing and daily walk planning followed by a six hour walk and finishing with a de-brief and assessment. Day 1 was focussed on assessment and confirmation of basic navigational skills to Bronze Standard in open country at low level. Day 2 involved group planning and execution of a high level fell walk. Day 3 comprised the planning and execution of a second high level fell walk with each individual responsible for the safe and successful guiding of the group between two set points. Tom leading group at ‘obscure place in Dales’! The assessment on the course involved evaluating practical competence in outdoor navigation at both high and low level in open country plus additional paper tests on map skills, equipment and clothing, weather and risk assessment. 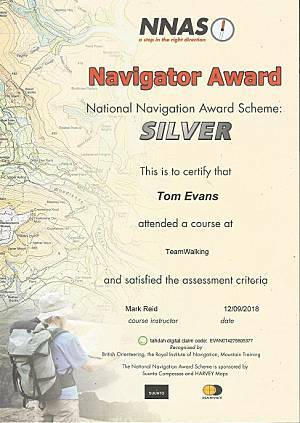 Tom was successful in attaining the National Navigation Award Scheme: Silver Navigator Award which confirms his skills in navigating unaccompanied at high level in open countryside in England. Thomas’ first involvement with the Lyke Wake Walk was in autumn 2014 when he acted as support driver for his Father who was doing an overnight W-E crossing. A year later the roles were reversed when Thomas did his first crossing supported by his Dad. Since 2014 Thomas has taken an active part in numerous Club events including supporting over a dozen crossings, attending five wakes, taking part in the recording of the Radio4 Ramblings radio programme, assisting in footpath repairs at Stony Marls Moor and making suggestions for improvement of the Club website. Thomas has always been an active supporter of and contributor to numerous community organisations and charities since he was a small child and he has received a number of commendations including his Lincolnshire Young Achiever Award in 2009 and being nominated as a torchbearer when the Olympic Flame travelled through England in 2012.